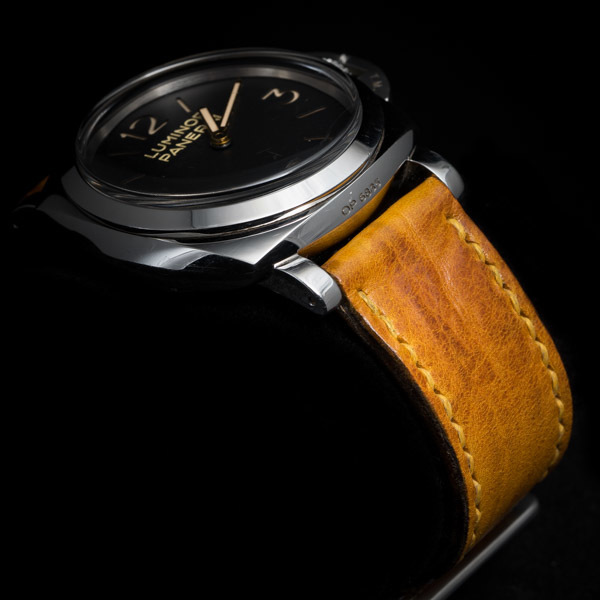 Since 2008, WOTANCRAFT is one of the first workshops in the world to offer the full extent of antique strap replication, so a Panerai owner can fully cultivate the rich history of their beloved timepiece. 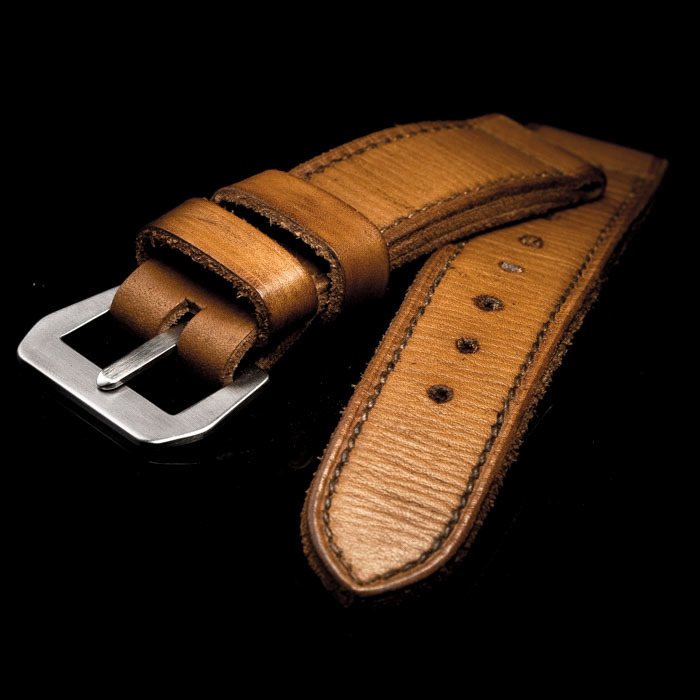 The "ORIGINALE" series marks our sincerely love and devotion towards creating a piece of vintage art. 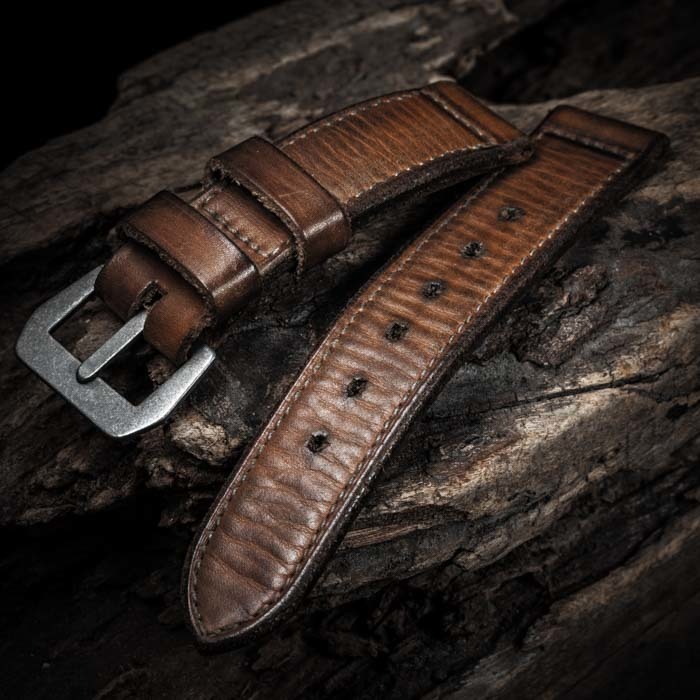 The well known features of antique Panerai straps- triple folding, battle distresses, GPF buckle, long tail- are incorporated with aesthetic precision, presenting a natural looking antique work right out of the box. 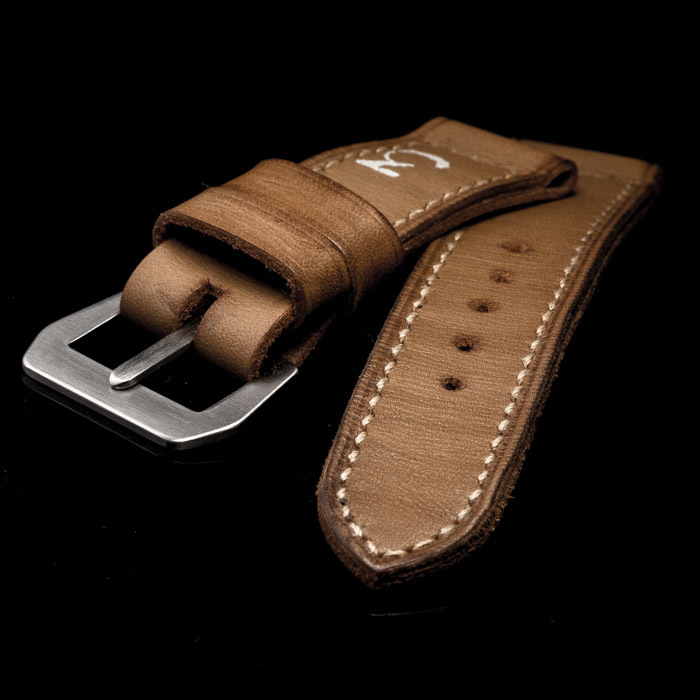 We honor the legendary military unit of Decima Flottiglia MAS (also known as the X-MAS), the very first frogman military unit in history, as well as their deep ties with the first combat oriented mechanical diving watch- Panerai Radiomir. 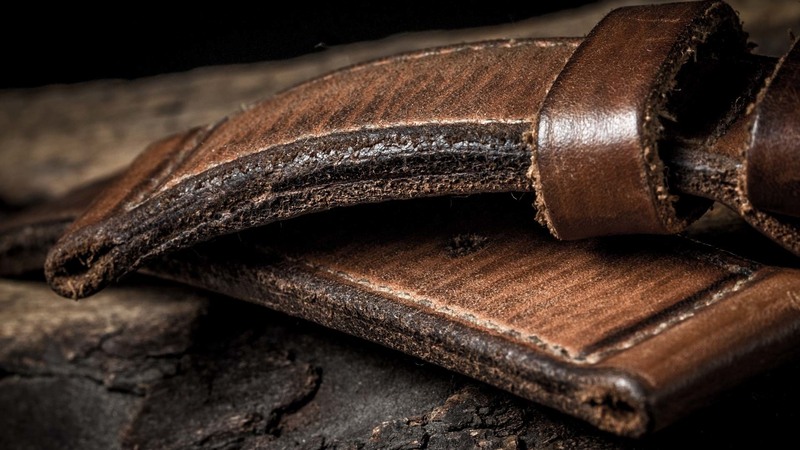 During WWII, military surplus artisans are faced with a question: when stitching the leather strap at the buckle end, folding the leather once (like the tail end) would not fasten "both" the lug end and buckle end sturdy enough. 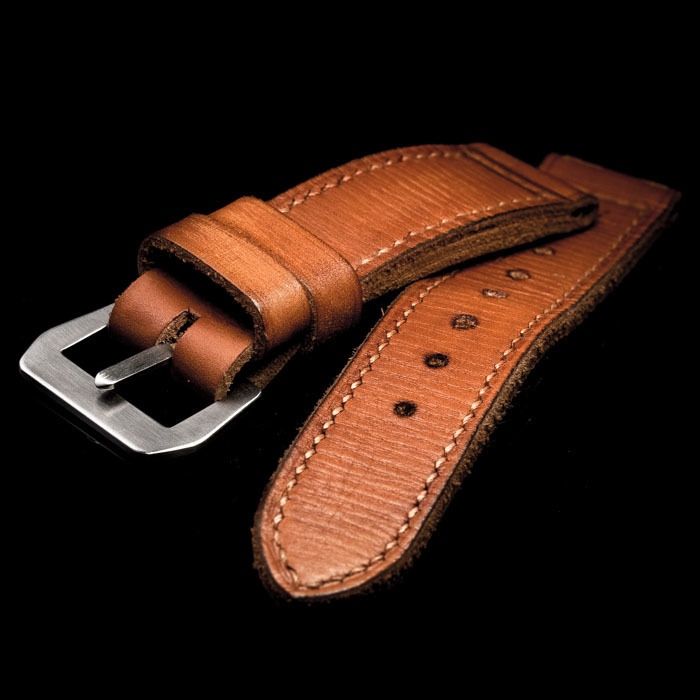 Having the "triple fold" solves the dilemma, by using a single piece of leather and fold the two ends onto the middle, and performing a box-stitch over 3 layers of leather, one can secure the strap buckle AND the lug bar on watch case, so that the strap wouldn't fall apart too easily under the damaging situation of war. 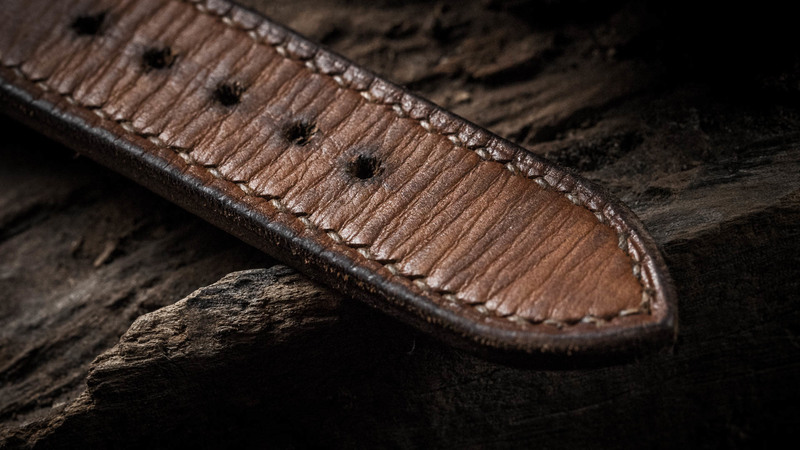 Making a WOTANCRAFT "ORIGINALE" strap is hard. 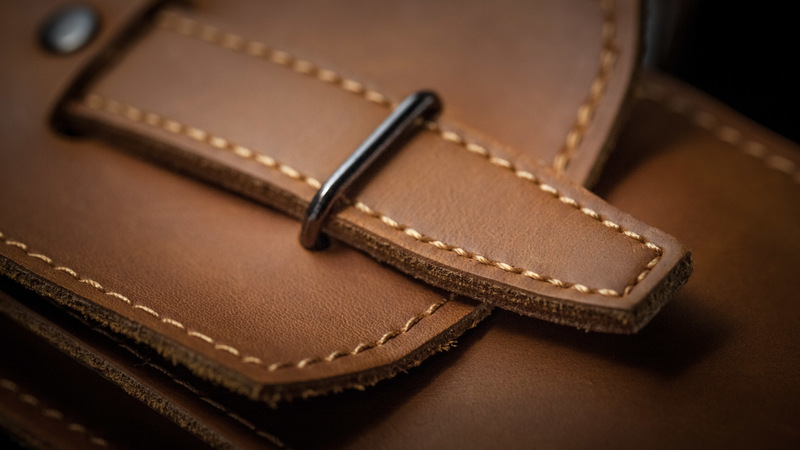 Full hand-stitch is a must (or shall we say the fundamental basic), to delicately capture the balance between durable manual stitch fastening, and the slight disarray that differentiates warm hands from cold machines. 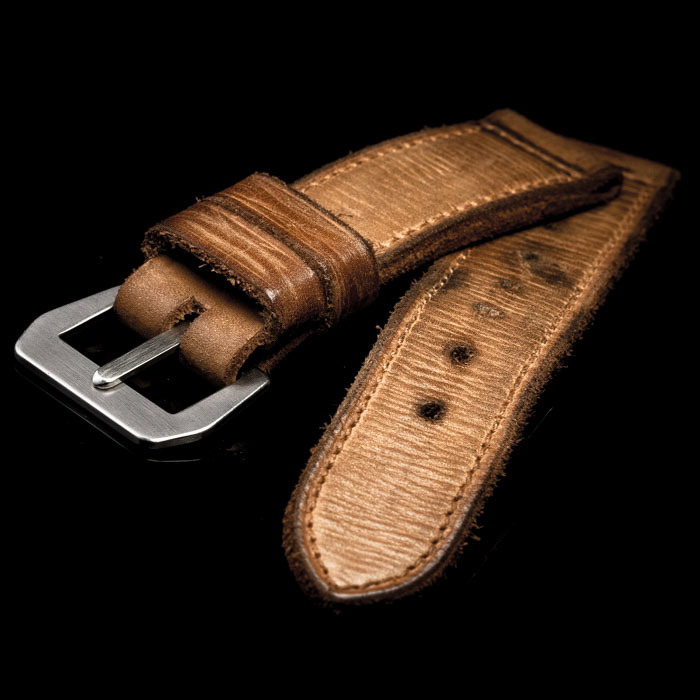 Then comes the truly challenging part: to deliver an antique look that "feels right". 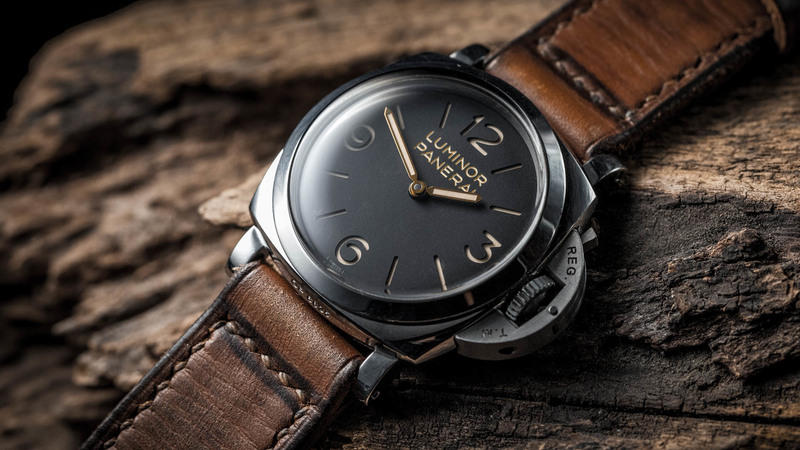 Such scrutiny eventually comes from our love for antique Panerai watches. 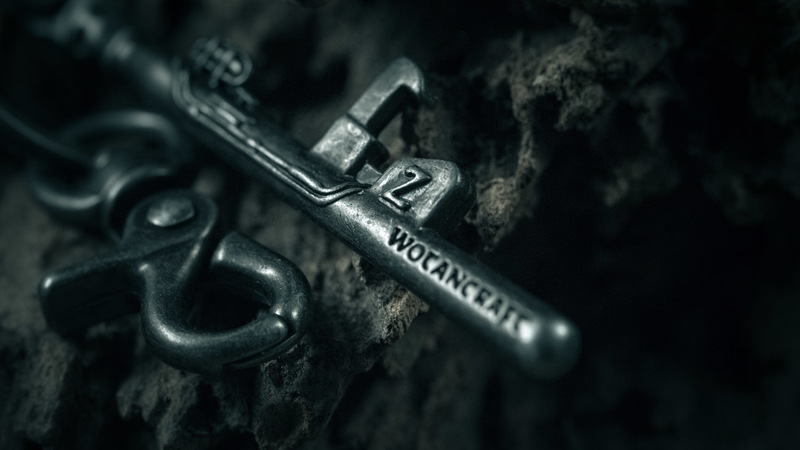 WOTANCRAFT is inspired by the breathtaking beauty of historical essence, and what we do in "ORIGINALE" series is to deliver a work of art that inspires people just as much. 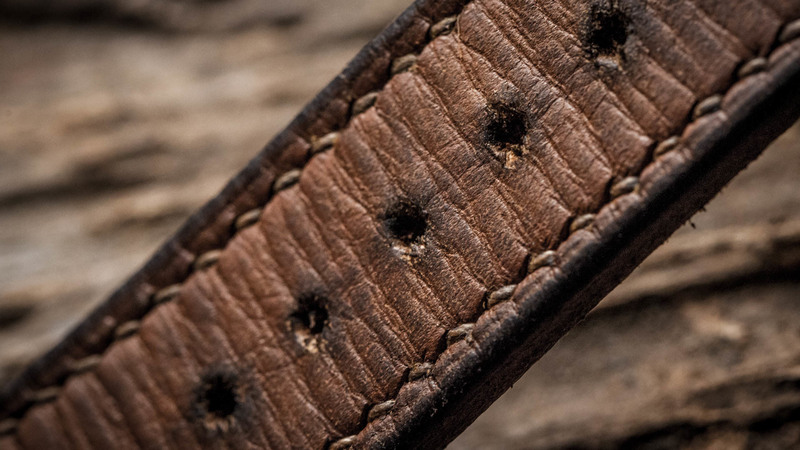 The dirt stains between creases, the black burnish of raw leather edge, the worn distresses of pin buckle holes on leather... these are all details, but it's the love that makes these characteristics truly alive. 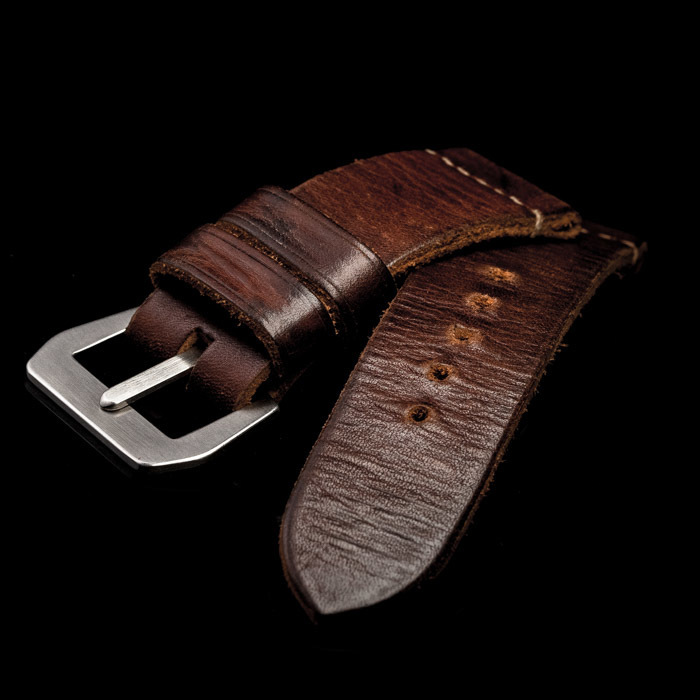 Looking at the historical references of antique Panerai watches, you will find the unconventional looking angled buckle, with "GPF - Mod Dep" abbreviated at the backside. 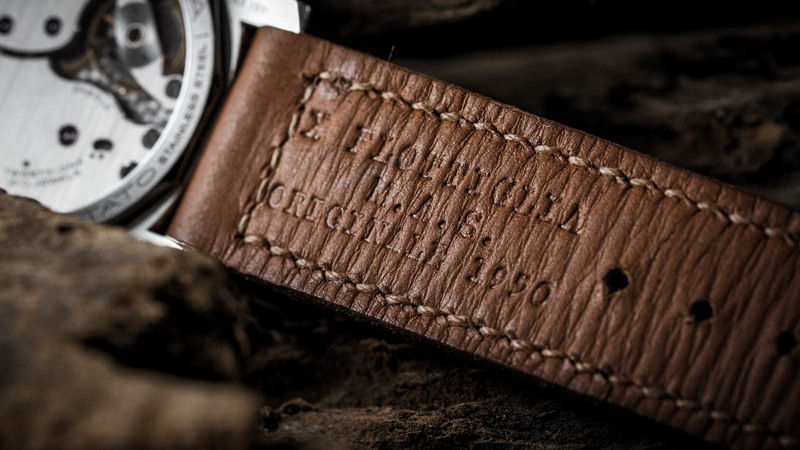 These words stood for "Guido Panerai e Figlio Modello Depositato", which reflect the business involvement of Guido Panerai and Son with Italian Royal Navy before and during WWII, where the company built innovative military equipment including the night-glowing Panerai diving watch. 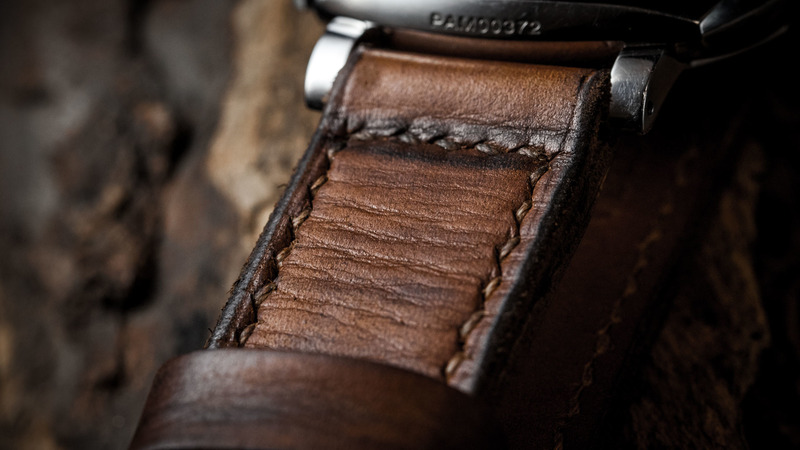 The geometric look of the GPF buckle has become a part of the Panerai DNA, the resemblance can still be found in more contemporary PAM models. 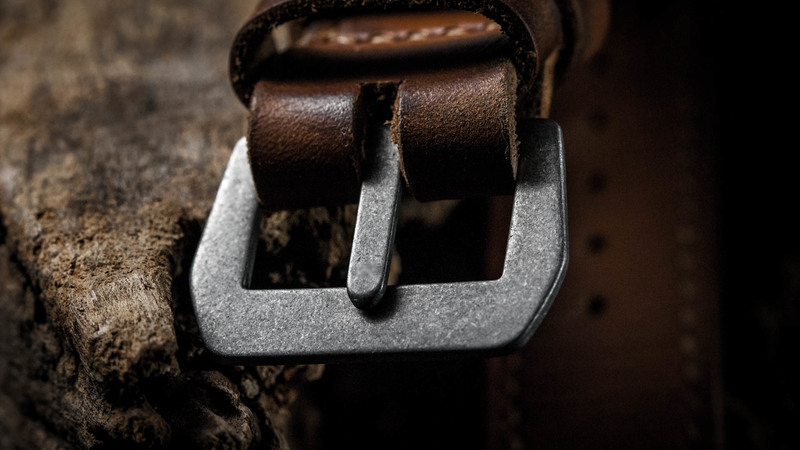 The surface of the buckle is deliberately widened, so that X-MAS commandos could fasten straps wearing their diving gloves. 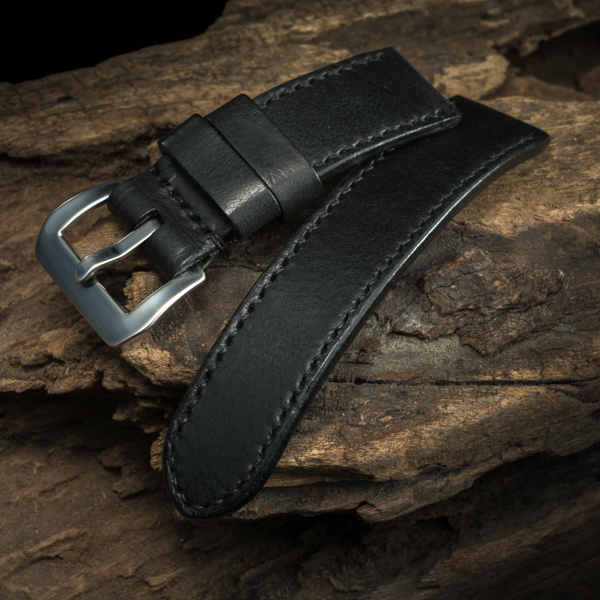 WOTANCRAFT spent years interacting with vintage Panerai collectors, to have finally found a genuine GPF buckle that we used for reincarnating the most authentic vintage look. 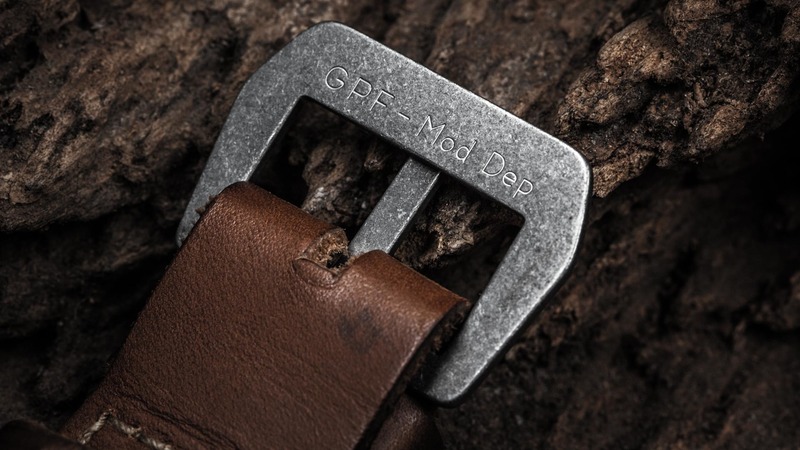 From text font to engraving depth, the external silhouette... WOTANCRAFT GPF buckle delivers a nostalgic vibe to the wartime equipment. 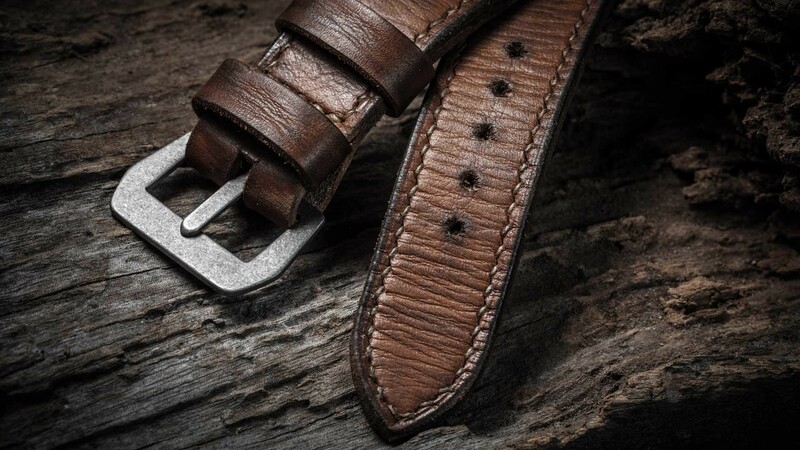 The most distinctive feature of antique Panerai straps used during the war is the "long tail", referring to the lower half of the strap being exceptionally longer than normal watch straps. 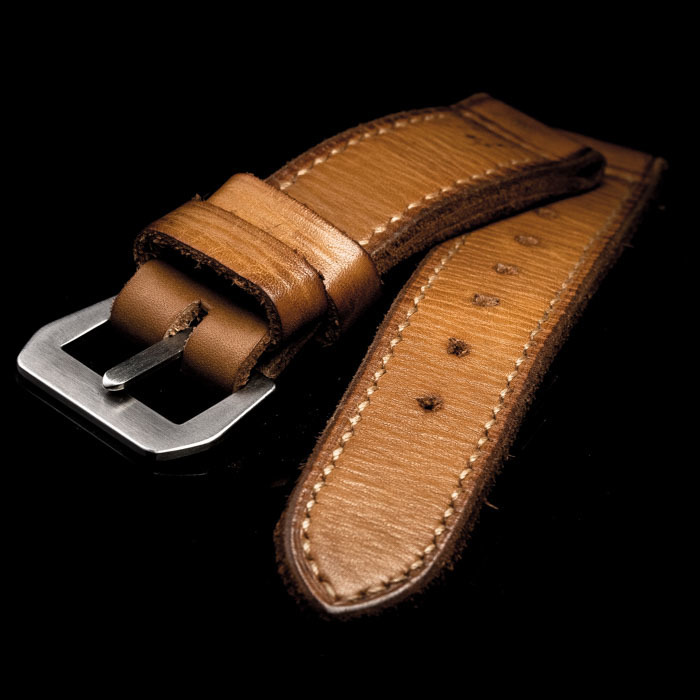 This characteristic is based on mission requirements, where X-MAS commandos had to wear their Panerai watches outside of their thick Pirelli dive suit sleeves. 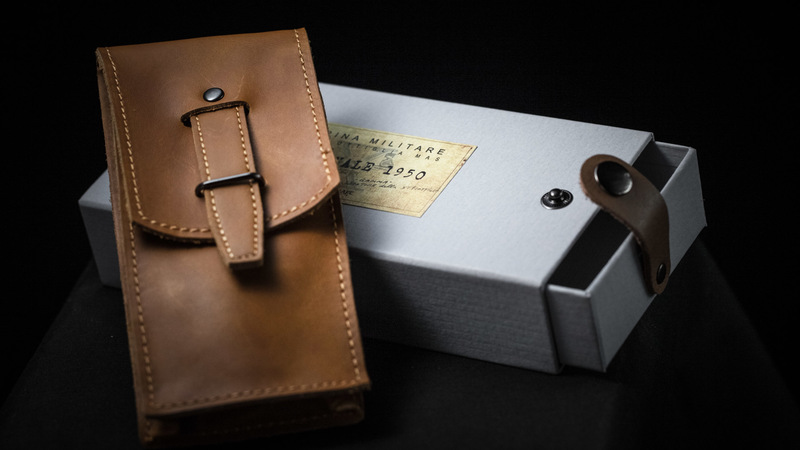 In the "ORIGINALE" series, we keep up with the original antique Panerai in the WWII era with extensive historical researching, so even the packaging box is made in a way that resembles the paper box packaging used by Panerai post-WWII. 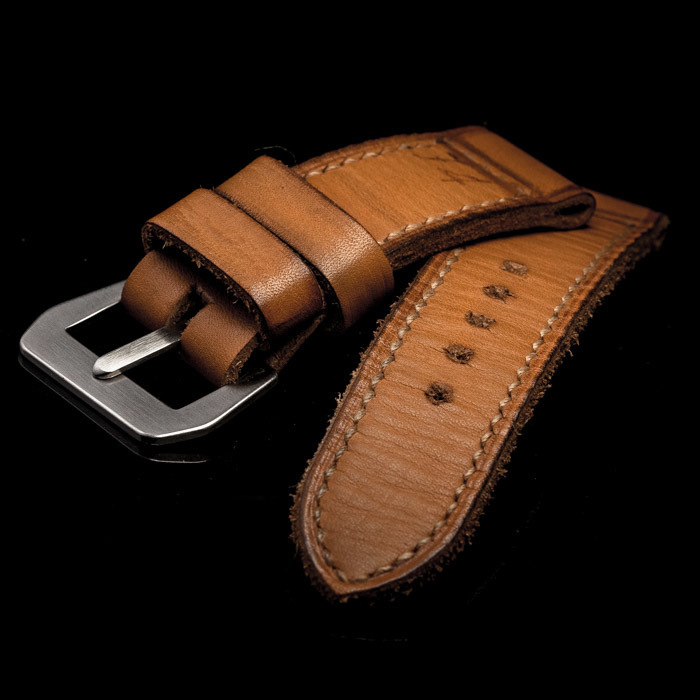 We also include the tan-colored leather ammo pouch strap holder, which can be used as an accessories pouch fastened to your waist strap. 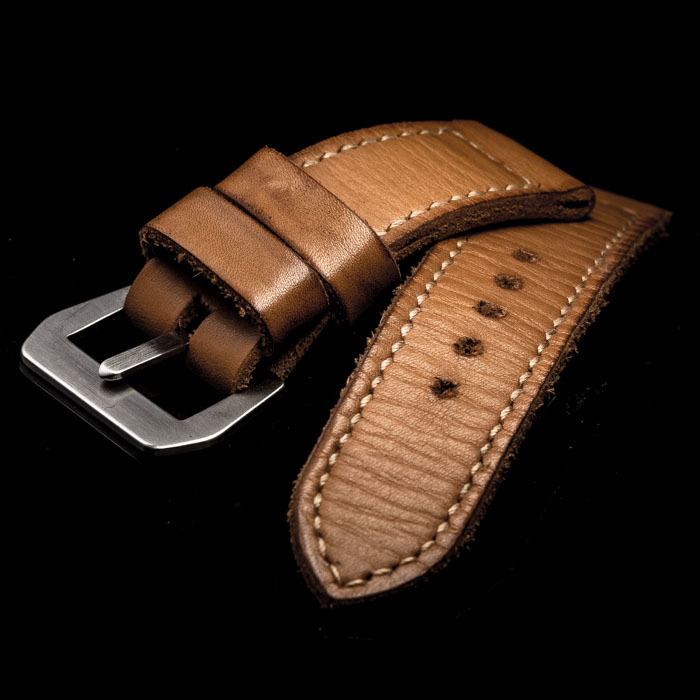 In addition, we also offer a small accessory gift for the purchase of "ORIGINALE" strap: the S.L.C bottle opener key chain. 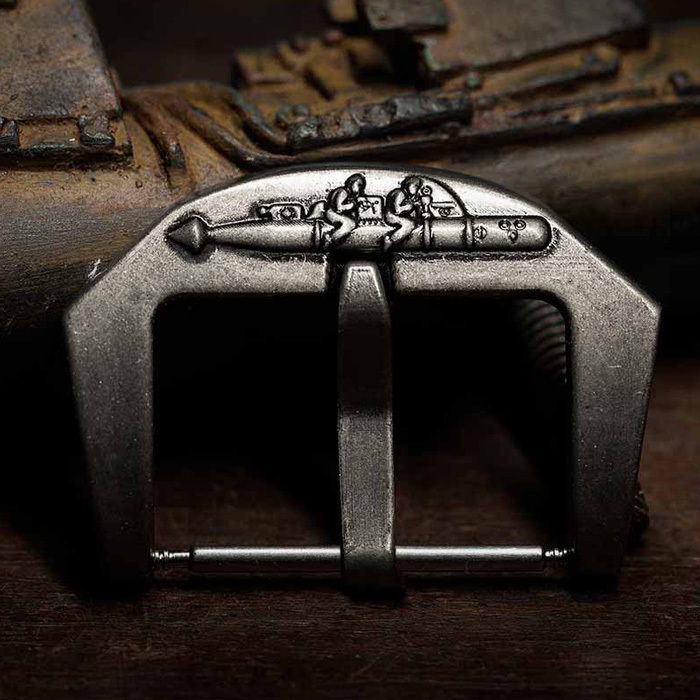 S.L.C (Siluro a Lento Corsa) refers to the slow-running manned torpedo that X-MAS unit utilized for underwater sabotage missions during WWII. 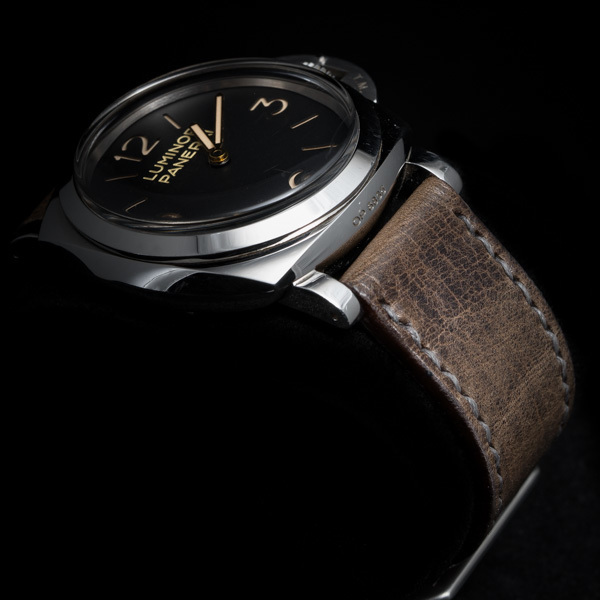 Such gear of war is a crucial element of the X-MAS history, as well as a fascinating historical background for Panerai watches.